Enjoy a breath of fresh air in the heart of Upper Vosges with catering apartment in a large house in the heart of the campaign. Located on the ground floor, this apartment has 70m2 area and offers 6 beds for a family holiday. 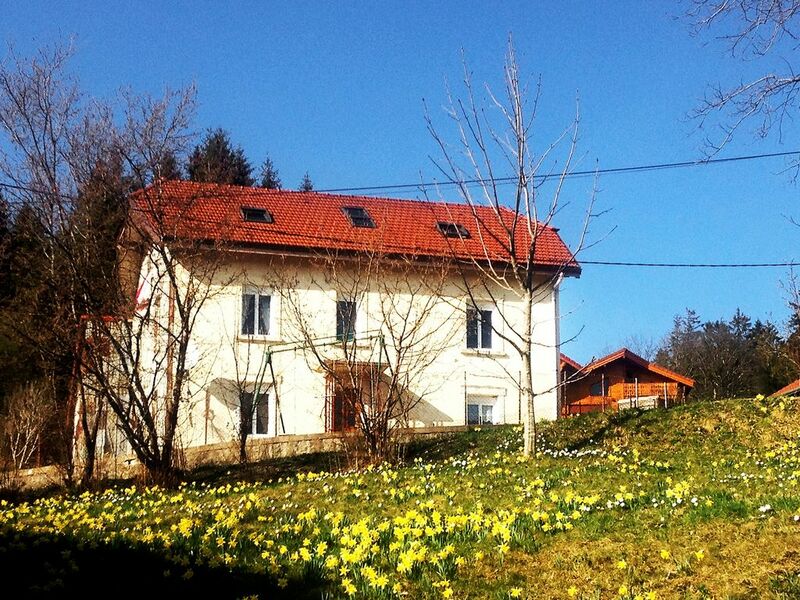 - An independent and equipped kitchen with raclette, oven, coffee machine, freezer and more. - Complete Leisure facilities, TV, stereo, DVD player, WiFi. With its private parking, the internet, its ski locker, this apartment offers a whole lot of little extra that will make your holidays. So you can indulge in your favorite activities in an exceptional country mountain landscape: mountain biking, hiking, paragliding or swimming, the choice is yours. At 800 meters, this apartment gives you a breathtaking view of the village. Guests have access to ski slopes of Poli easily, while the Lake Longemer is 1km away for swimming. Restaurants, bars and shops are within 500 meters. You will have to come by car, the nearest railway station is Saint Die des Vosges, 30km.